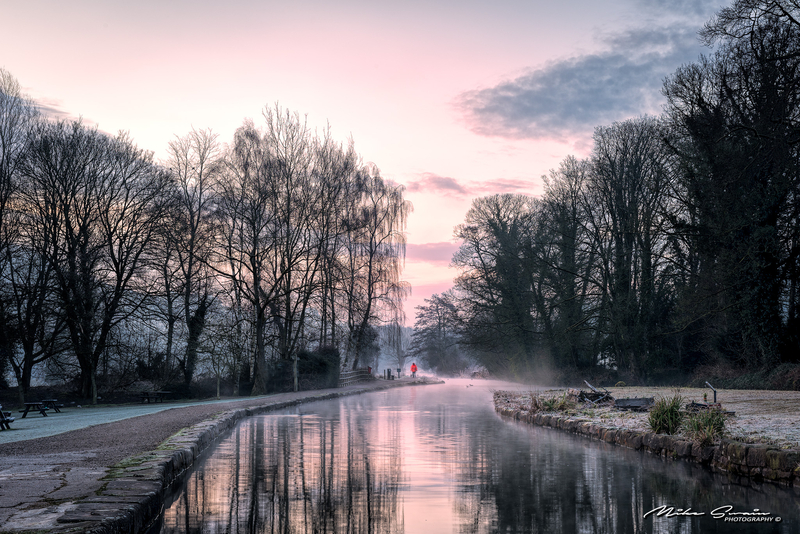 An early start brought another really cold and misty morning to the Cromford Canal in Derbyshire UK. This is one of the many old canals that were built to move raw materials around the different cotton mills that were sighted all along the Derwent Valley. The canal in usually extremely busy with walkers and photographers but the early start meant I was almost lucky enough to have it myself, just sharing it on this occasion with the lone dog walker. Yes!!! I love the dog walker. As I've often said to Taz, human elements blend the dreamy scene with realism. Mahalo for sharing! Indeed. I look forward to those when they happen now.....cheers JBR! Great choice of a photo, good low angle comp, and what wonderful atmospherics! Excellent shot. The light is wonderful and the spot of red is perfect--bright enough to make the composition but small enough so as not to overpower the peaceful scene. Thanks for all the kind words, really appreciated. The 'Red' figure was a bit surreal and just sort of appeared out of the mist. As he was walking slowly, I managed to get about five images and the one shown seemed to fit the picture best. Beautiful image, captured at just the right moment. Shot from a bridge or a boat deck maybe?? I might trim a bit of the empty sky off the top of the frame if it was my image. I concur with all of the above, wonderful image!